"I love the new Dixie Belle Wax..not as a protective cover though it is good that way, but rather as a product to easily add a dimension to color and items painted." The mad scientist hit a home run again. I have been painting furniture for almost 30 years and have used just about every brand of paint out there. I've even made my own. Dixie Belle Paint is by far my favorite! It is really easy to use with no prep work. And, the colors are beautiful. They also offer great products for finishing off your piece such as glazes, waxes, top coats, & more. Dixie Belle Paint is also perfect for craft and art projects! Love it! I can't say enough about Dixie Belle Paint Company's products and staff. We started out using Dixie Belle paints on furniture to sell in our retail store. Shortly after, we signed on to become a retailer. Dixie Belle is constantly evolving to stay ahead of design trends. The products are always of top quality. Suzanne, Teri, and the rest of the DB team have helped us tremendously in growing our small business. We are truly grateful to work with Dixie Belle and we love the products!!! 5. Because it's southern and we're from the south too!! Dixie Belle Paint + the South=Perfect Nirvana. 4. Because it's an American company with a product actually produced in the United States. Need we say more?? 3. We understand the color names. Gulf? Been there! Dried Sage? My grandmother grew her own and crumbled it up into the Thanksgiving dressing every year. Kudzu? Yep, we are well acquainted. 2. Because Dixie Belle is made up of nice people who provide amazing customer service...we feel like we have joined a family. 1. Best of all, Dixie Belle Paint is equal to, if not superior to any other paint we have used. And it's less expensive!" "I love Dixie Belle Paint! I have used to paint everything from a filing cabinet to a piano. The colors are beautiful. The paint goes on smoothy, covers wonderfully, and dries quickly. It doesn't even show brush strokes. It is so easy to work with because you do not have to sand or prime. Just clean your piece with mild soap and water, dry, and paint. To shabby chic, just use a yellow green kitchen sponge. Dampen the sponge and use the green side to remove some paint, and then just wipe clean with the yellow. I order Dixie Belle paint online, and it arrives within a day or so. I love, love, love, Dixie Belle Paint!!!" "Chalk It Up Green loves our Dixie Belle Paint! The colors are beautiful, the paint is not too thick or too thin, and it dries quickly too! Keep up the good work, Dixie Belle Paint Company!" "I love the product...it is so easy to use. The colors are fabulous, the glazes are great and the clear coat makes it very easy to use. The price of the products are much more affordable for my customers than some of the other products on the market. And the support from the Dixie Belle staff is awesome! Thank you so much!! I am very happy I found the Dixie Belle line of paint!!" "We have done some custom orders with Dixie Belle Paints....they are working fabulously! LOVE the colors and the way that they all compliment one another! SO easy to design and coordinate a nice flow of color! ​One of our favorite things of DBP is the awesome smooth consistency and ease in painting! The pigments are well mixed and the colors are the same, jar after jar! Loving the clear coat too! RELAX - NO MORE WAX!!" "Dixie Belle is so easy! The coverage is fabulous! We love it! and our students love it when we use it in our paint classes. The grunge is the answer to our prayers no more WAXING!!!!!" "Mere words can not express all the ways Dixie Belle Paint has enhanced our business so let's talk numbers! In the year since we started selling the paint, it has increased our bottom line by 25%. That right there takes the pressure off me as an owner that I'll have money to cover all of my monthly expenses! The paint is always part of the conversation in our shop. We are either telling customers about it, discussing the process or colors or taking order for custom painted pieces; another way Dixie Belle adds to our bottom line! Personally, I love, love, love using the paint. It is so easy and fast and I make more money on the pieces that I paint. To think that just one year ago Deb and Suzanne walked in the shop and offered me this great opportunity and I was afraid that if I sold the paint no one would buy my painted pieces. Ha! I can't sell a piece unless it's painted with Dixie Belle! This was absolutely the best business decision I have ever made!" "A lady that lives in Princeton, WV (about 60 miles from our store) visited our location. She found us on www.DixieBellePaint.com as the closest retailer. She mentioned that her daughter is an avid AS user but bought some DB and was very happy with the creaminess and the coverage. She told her mom that it was better than AS and that is the reason her mom traveled nearly 60 miles and purchased about $55 worth of paint from us. It is so great to hear that customers are happy with the product. We have only received positive feedback but someone saying that DB was better than AS was the cherry on the sundae." "I have been painting furniture for many years, from the old days of using latex with sanding, priming, coats of paint plus more sanding and then applying urethane…it was long and time consuming. I was introduced to chalk paint a couple of years ago and delighted to shorten the lengthy process. And to be able to paint most anything was eye-opening! The possibilities were nearly limitless. I have used the majority of the chalk paints on the market and have even made my own. A couple of weeks ago I was asked by the owner of Main House Antiques to try out Dixie Belle chalk paint that they were now carrying and to let her know if I liked it or not. I am writing to let you know that Dixie Belle paints are fantastic! It flows off the brush like silk, lays down smoothly (self-leveling) and covers beautifully….even the whites cover superbly which at times with other chalk paints takes up to three coats. Their color hues have depth and clarity; they even have a rich black, one that I always had to make myself. Their clear coat is superb and with Dixie Belle no waxing is necessary. A time saver! They have lovely glazes that I can’t wait to try out as well as metallic opalescent paints. Game on Dixie Belle! We are going to be life partners…"
"I just wanted to drop you a little note that I have just converted yet another AS die hard to Dixie Belle!She had come in with the usual story, "I've always used AS, but I'll give this a try," she said. Came back in less than a week later for another color. When I asked her how she liked it in comparison I got the typical response, "I love it! I like it better than AS, I can't believe it!" Insert me fist pumping in my mind. :) Thank you for all your hard work and putting out a fantastic product I can be proud to sell!" 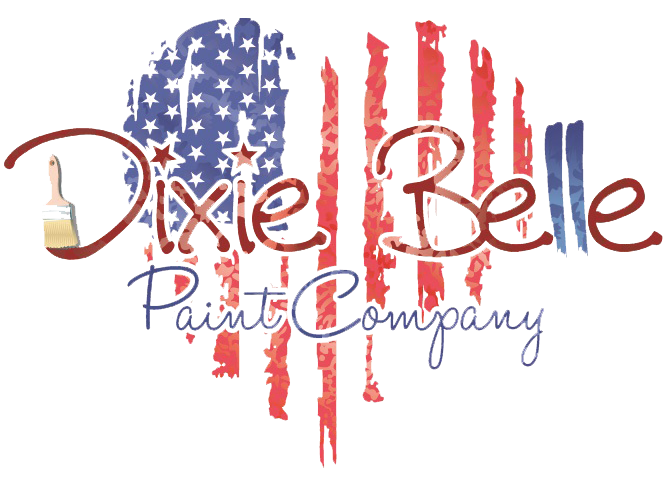 "Love the quick service I get from Dixie Belle...Love the paints too." "Hi Suzanne, I just have to tell you how fantastic your paint is!!!!! Oh my gosh, I never expected such an awesome chalk paint existed, seriously! WAY better than any I have used. Dries to a beautiful finish and what I am most excited about is is it’s durability! I absolutely love it and so happy to be able to have this level of CONFIDENCE selling the paint itself and and the quality finish my furniture now has for my customers. It is great fun to be selling something I truly love myself. Thank you so much for giving me this opportunity. In addition to selling it my shop, I also have a class coming up in two weeks to show it off and build a customer base. Thank you, thank you, thank you!!!!!" "Thank you, thank you, thank you for your help yesterday! I know I have said it before, but it needs to be repeated: I have sold numerous other paint lines and have never dealt with such great people as all of you there! I hope someday to get to meet you all and thank you in person, for a marvelous product and incredible customer service! May God keep blessing Dixie Belle Paint!" "I accidentally found your products at Eklektik Styles in Griffin, Georgia while looking for chalk paint. I was hesitant at first because I had some pretty bad experiences with chalk paint that was not Annie Sloan so I bought a small container. A week later, I bought a bigger container, and now I am trying to decide which colors to buy next. Your paints are absolutely fantastic! I love that your can even use it on fabric and it blends so smoothly. I also love that you have a video tutorial on how to apply the product. I have shared this product advice with a few friends and am hoping to spread the word of this incredible value (I completed an urn and two small end tables with the smallest container). I know you probably do not need my two cents, but I was thinking if you could get more bloggers to mention your products, it may help spread the word. You probably already know the French Country look is huge and if bloggers like "Dear Lillie", "Liz Marie Blogs" or "French Country Cottage" mentioned you, that would help make others more aware. Anyway, I will continue to promote your wonderful products on my blog. Thank you again and Good Luck in all your success!!"